For Julius Meinl preserves we only use natural sun ripe fruits, supplied by the best farms throughout Europe. The fruit is carefully selected, picked and processed. We do not use artificial coloring or flavor enhancers. 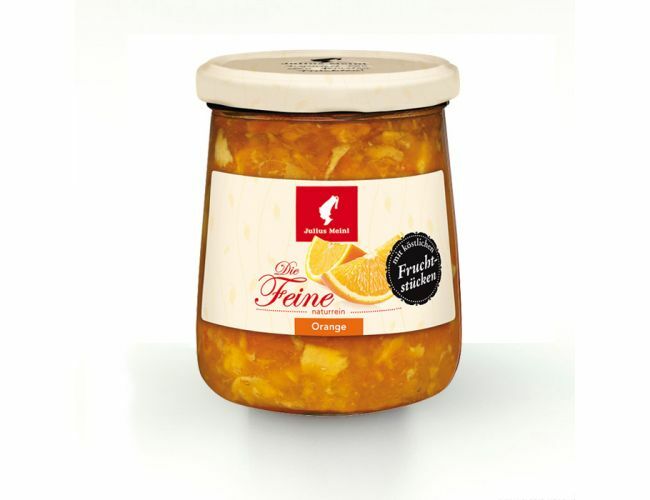 An exotic marmalade creation made from sun-ripened oranges, with fruit pieces.